Come join Captain Justin Revere for your Adventure on the waters of Cape Hatteras North Carolina. Over 14 years fishing experience as well as being a US Coast Guard veterean. The Adventure, a 25 foot Parker powered by twin 150 Yamaha four stroke motors for a quick and quiet ride. Fully equipped with a sight fishing tower, the latest electronics and tackle, plus a bathroom for your convenience. 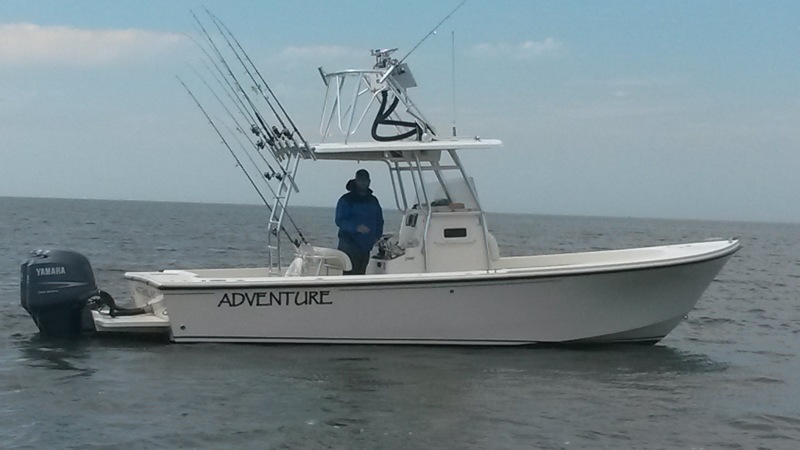 This rig is capable of tackling any fishing that the Hatteras waters have to offer. We offer half-day charter, full-day charter, clamming, and custom excursions including night and shark fishing. We encourage anglers of all ages and experience. Families and children are welcome. Contact me today to book a trip!